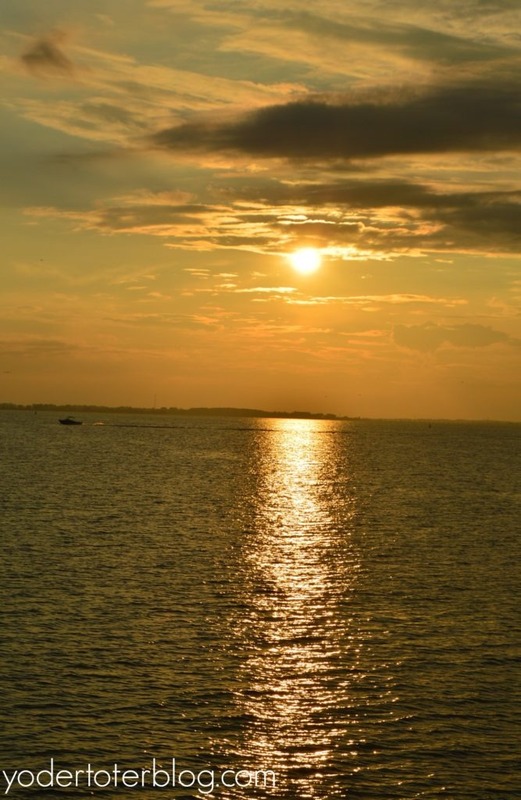 Sandusky, Ohio is a small city on the shores of Lake Erie that has a ton to offer families! 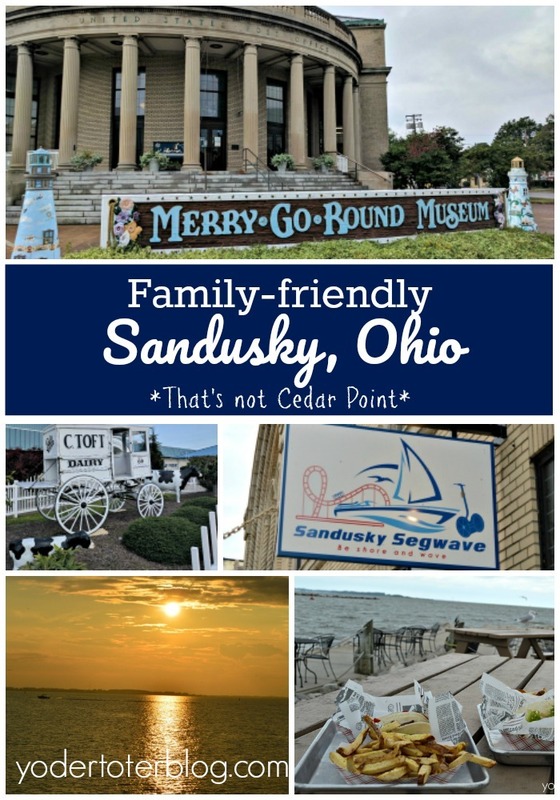 Sandusky is well-known as the home to Cedar Point, but most people spend a day on the rollercoasters and then leave town (raised hand here). However, there’s so many reasons to stay and play in Sandusky. Here are my suggestions of 5 things to do in Sandusky, Ohio with kids! I would not have thought of Sandusky, a city of only 25,000 people, having two fantastic museums! I learned so much at both the Maritime Museum AND the The Merry-Go-Round Museum! 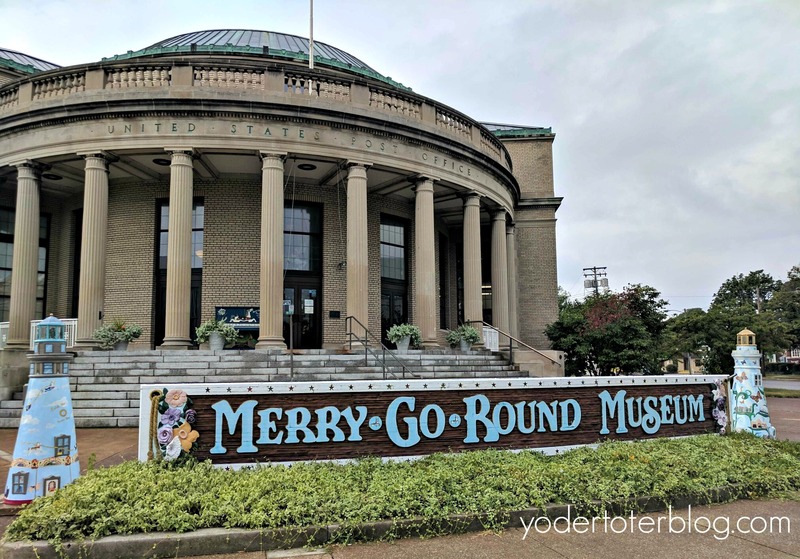 The Merry-Go-Round Museum is situated in the old Sandusky Post Office. The circular building made for the perfect place to house a full 1920s Carousel. I learned so much about carousels- Did you know that every carousel has a lead horse where the ticket taker would know to start and stop? Did you know that British carousels go clockwise, but everywhere else they are counter-clockwise? Or that carousels date all the way back to the 12th century? Someone sign me up for jeopardy, this museum was a goldmine! The Maritime Museum was another welcome surprise. Sandusky’s location on Lake Erie makes for a history brimming with nautical mystery and drama. The location wasn’t just known for shipping and ferries though, in the late 1900s, Sandusky was the largest ice producer west of New York City! Children can also learn how Sandusky played a role in the Underground Railroad. This was the last stop before former slaves could catch the ferry over to Canada. Lastly, kids will love this interactive pirate ship! 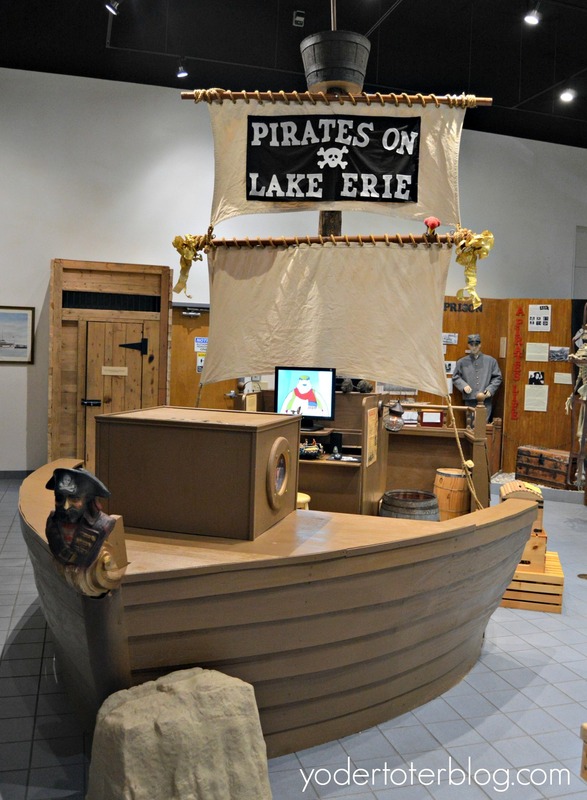 Yes, Lake Erie even had her share of pirates! The Maritime Museum gives a family discount, offering immediate families admission for just $14. This is a great deal- allot 90+ minutes to spend here. You can’t be right on the shores of Lake Erie and not enjoy some water activities! 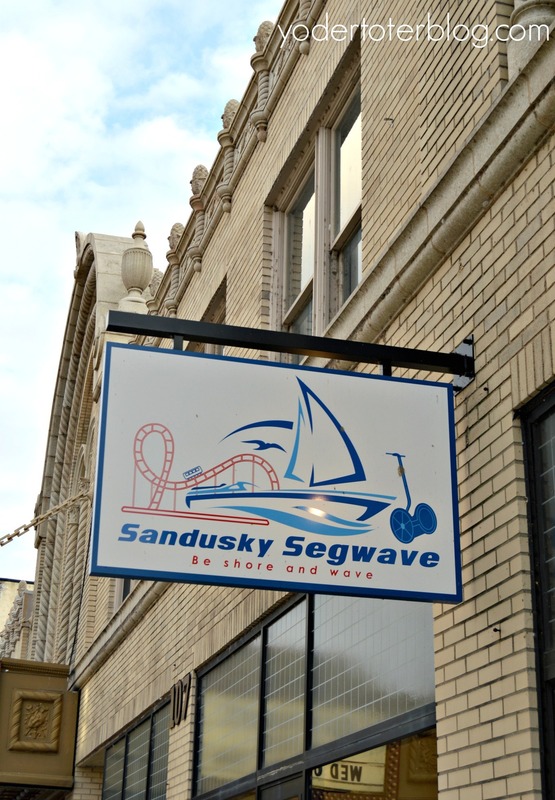 Kids of all ages will enjoy Sandusky’s Goodtime I. We took a sunset cruise and enjoyed both scenic views and Cedar Point. Food and beverage can be purchased onboard- for adults that’s a full bar, for the kids, there is pizza. This is a relaxing way to end a day in Sandusky, and prices are affordable- costing our family of 5 less than $30 (under 5 are free). For the more adventurous, and those with teens, check out Air1Airboats out of East Sandusky Bay! 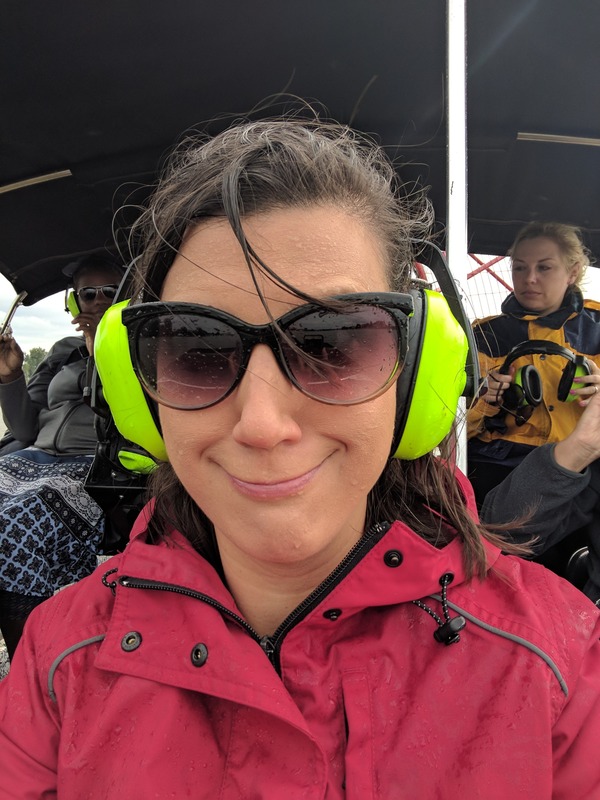 This was not my first airboat ride, but it was my first trip on rough waters! What a hoot! I’m glad I packed my rain jacket (similar), because we got WET! If there is one thing that Sandusky shines for, it’s the number of local restaurants in such a small town. Sandusky has no shortage of fantastic places to eat! How about a locally-sourced breakfast or brunch at Bates Farm Kitchen? Large portions of biscuits and gravy and farm-fresh omelets were on the seasonal menu. Chef Clint uses ingredients that you’ll be happy to let your kids indulge in! I know my children would enjoy the french toast with Ohio maple syrup. Needing to caffeinate after a busy day with kids? Try the new(ish) Boomtown Coffee! I tried a nitrogen-infused cold brew (think coffee that comes from a tap and looks like a beer). It was amazing- definitely a pick-me-up! 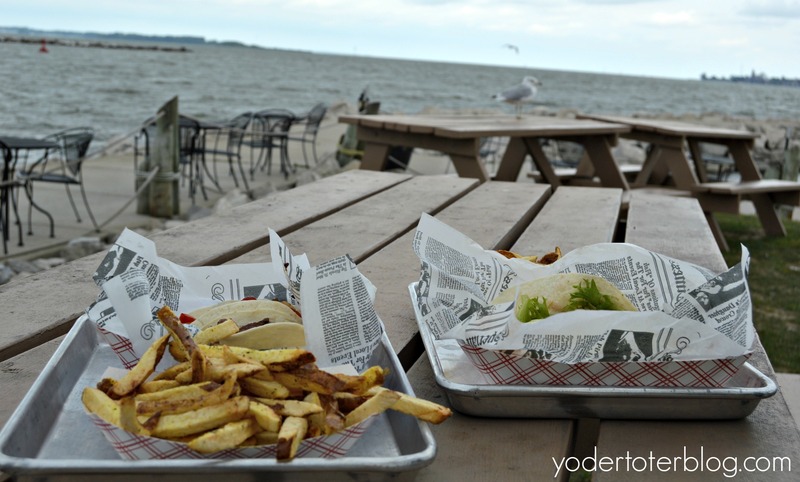 Wanting a lakefront lunch? Try the Dockside Cafe. Not only does the cafe offer up gorgeous vistas of the lake, the food is casual, kid-friendly fare. (They are open seasonally- only til October 1 this year- so hurry). Looking to affirm your sweet tooth? 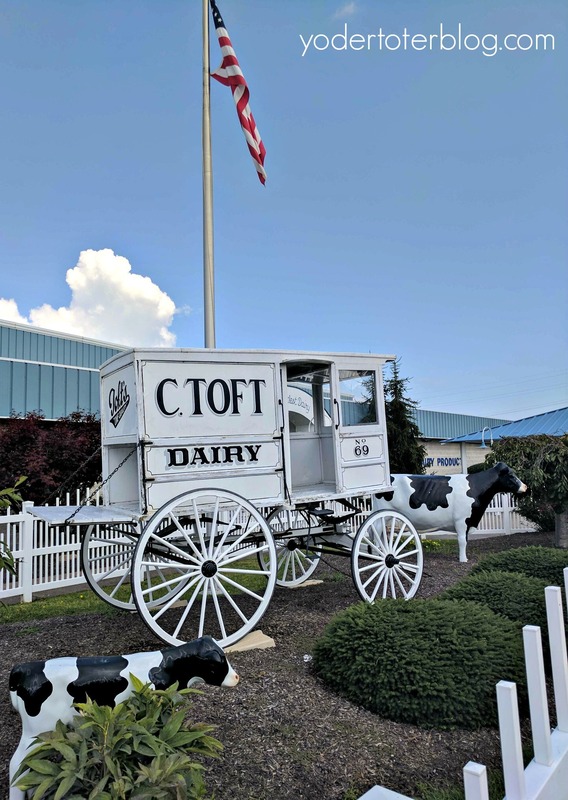 Toft’s Dairy is a Sandusky institution for all things dairy- including their famous ice cream! Visit their parlor on Venice Road to try the many flavors. I love the story behind Toft’s family business, including the fact that all of their milk comes from farms located within a 50-mile radius. For kids 14 and older, what better way to engage them in the history of Sandusky, than by doing so while riding a Segway? Yes, Sandusky has it’s own Segway tour! Jim, the owner of Segwave, has the patience of Job with those that are a little nervous or unsure (i.e. – ME). Jim offers 1 and 2-hour tours of Sandusky, and plenty of training time to get acclimated to the device. Your favorite part will be cruising right by Lake Erie (and crossing your fingers that the Segway floats). Just kidding! Of all the things to do in Sandusky, the most unique is riding a Segway through the downtown. When we pulled up to Ghostly Manor, I wasn’t so sure what to expect and didn’t know if I’d recommend it as THE things to do in Sandusky! My 7-yr old is afraid of simple Halloween decorations, so the giant dragon at the door isn’t exactly what you’d expect for a kid-friendly playhouse. Once inside, I could see why this is the perfect place for the whole family to hang out. From a roller skating rink to an Escape Room, kids of all ages will be happy. There is also a haunted house, black light golf, a jungle gym, and arcade games. Our group of adults did the Missing Deed Escape Room, which was much harder than I expected, we needed various clue to help us get out! Ghostly Manor is a place you could visit in Sandusky again and again. I’d consider taking my young ones there if traveling with older children that wanted to be at Cedar Point or nearby Haunted Houses. 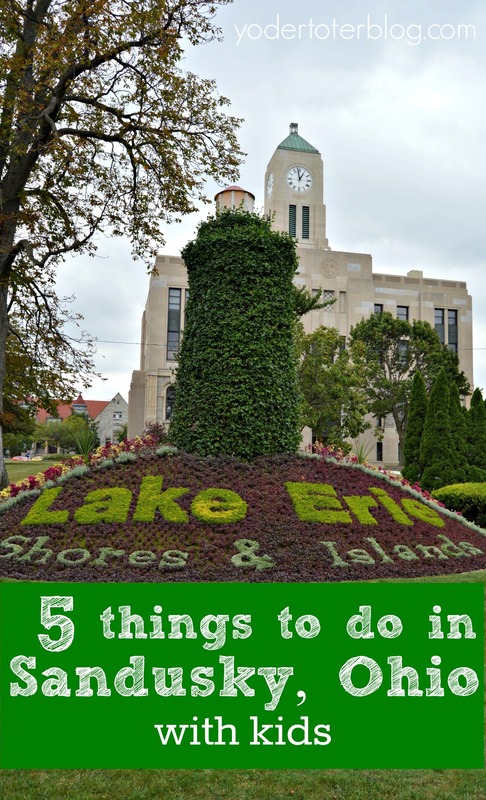 So there are my Top 5 things to do in Sandusky, Ohio with kids! Have you been to Sandusky? Were you like me and chose to hit up Cedar Point and then call it a day? I urge you to add more time to your stay! Sandusky is celebrating it’s bicentennial in 2018 (more coming soon) and there is tons of revitalization in the works. You won’t want to miss it!